Recently the LHCb collaboration reported evidence for direct CP violation in charm decays. The value is sufficiently large that either substantially enhanced Standard Model contributions or non-Standard Model physics is required to explain it. In the latter case only a limited number of possibilities would be consistent with other existing flavor-changing constraints. We show that warped extra dimensional models that explain the quark spectrum through flavor anarchy can naturally give rise to contributions of the size required to explain the the LHCb result. The D meson asymmetry arises through a sizable CP-violating contribution to a chromomagnetic dipole operator. This happens naturally without introducing inconsistencies with existing constraints in the up quark sector. We discuss some subtleties in the loop calculation that are similar to those in Higgs to γγ. Loop-induced dipole operators in warped scenarios and their composite analogs exhibit non-trivial dependence on the Higgs profile, with the contributions monotonically decreasing when the Higgs is pushed away from the IR brane. We show that the size of the dipole operator quickly saturates as the Higgs profile approaches the IR brane, implying small dependence on the precise details of the Higgs profile when it is quasi IR localized. We also explain why the calculation of the coefficient of the lowest dimension 5D operator is guaranteed to be finite. This is true not only in the charm sector but also with other radiative processes such as electric dipole moments, b → sγ, ϵ ′/ϵ K and μ → eγ. We furthermore discuss the interpretation of this contribution within the framework of partial compositeness in four dimensions and highlight some qualitative differences between the generic result of composite models and that obtained for dynamics that reproduces the warped scenario. LHCb collaboration, A search for time-integrated CP violation in D 0 → h − h + decays, talk presented at HCP2011, November 14–18, Paris, France (2011), LHCb-CONF-2011-061. 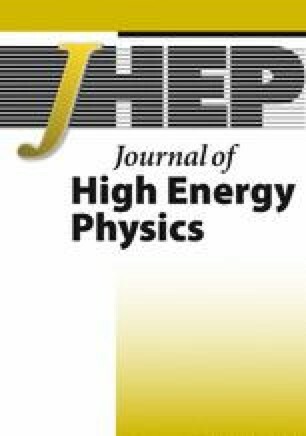 Heavy Flavor Averaging Group collaboration, D. Asner et al., Averages of b-hadron, c-hadron and τ-lepton Properties, arXiv:1010.1589 [INSPIRE]. H.-Y. Cheng and C.-W. Chiang, Direct CP-violation in two-body hadronic charmed meson decays, Phys. Rev. D 85 (2012) 034036 [Erratum ibid. D 85 (2012) 079903] [arXiv:1201.0785] [INSPIRE].